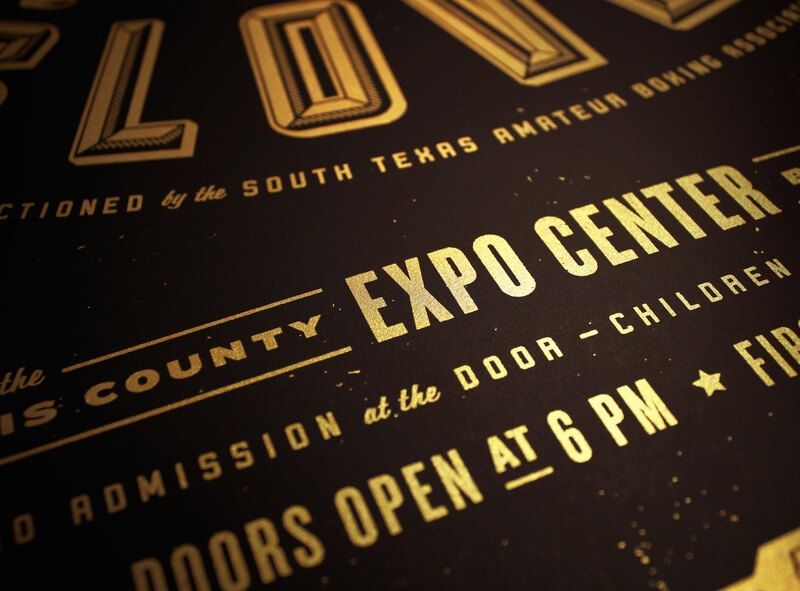 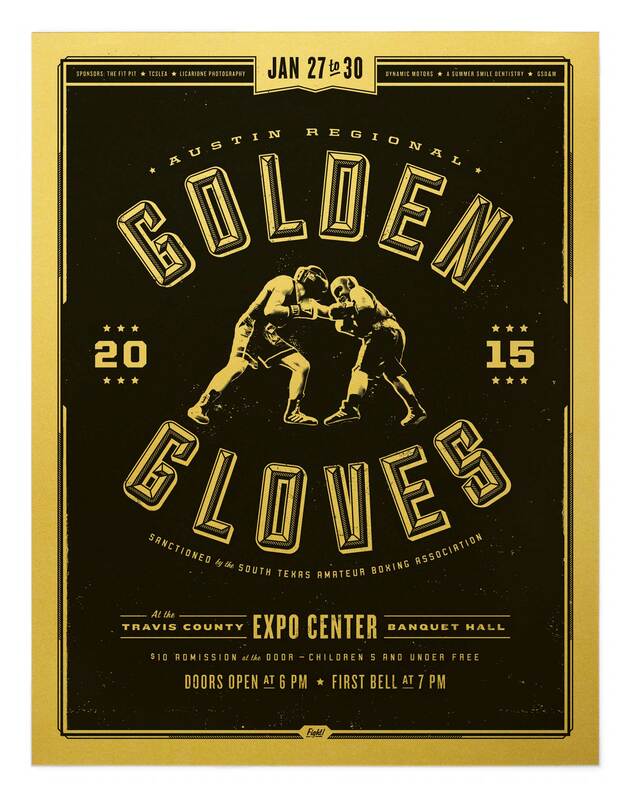 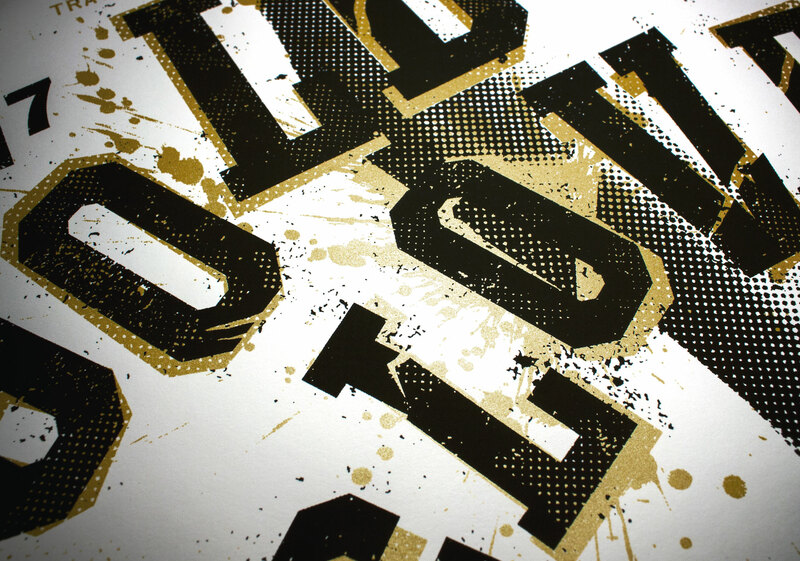 I felt somewhat obliged to use gold metallic paper for the 2015 Golden Gloves poster. 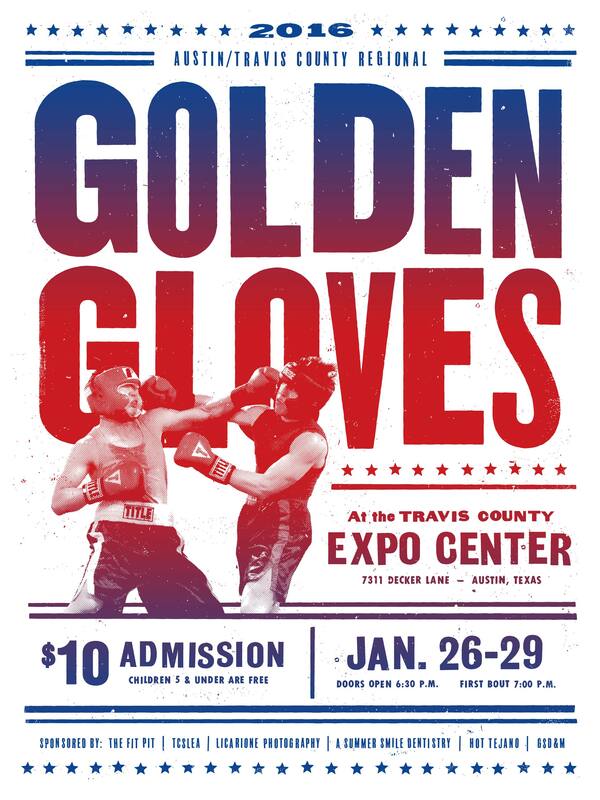 I got over that urge in 2016. 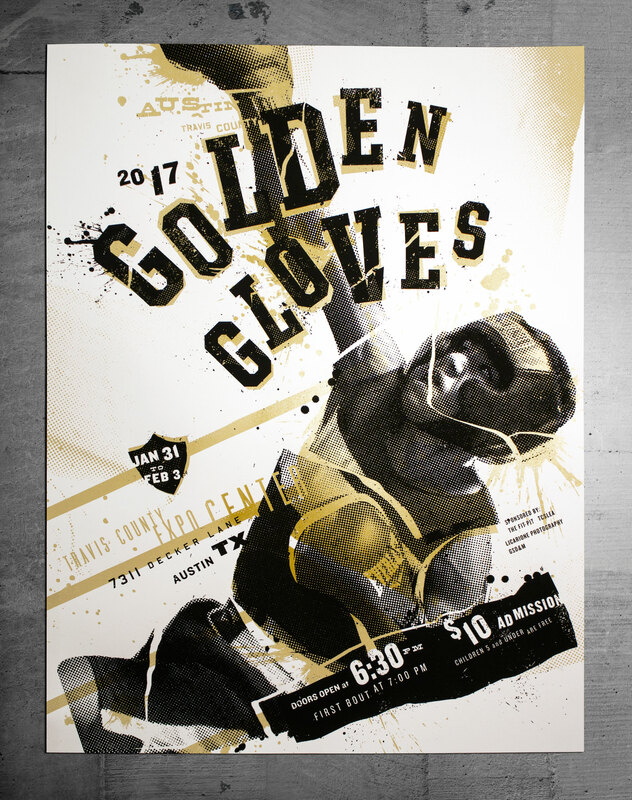 The 2015 version was awarded a Silver Addy at the 2016 Austin Addys.